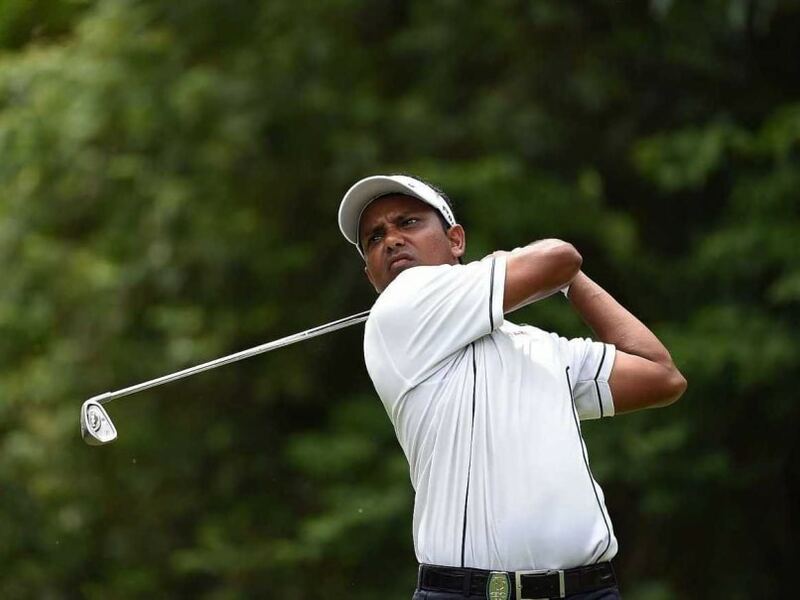 Chawrasia experienced the highs and lows on the first day itself as he was lying tied-third from where he fell to Tied-50th in a matter of two holes, where he double bogeyed and bogeyed another. However, he was in great form over the last 12 holes. Starting from the 10th, Chawrasia opened with a series of five pars and then bogeyed the 15th, which he doubled on Thursday. But after that he did not make a single mistake and had five birdies. He birdied 16th and 18th to turn in one-under and then added three more birdies on first, fourth and eighth holes. Meanwhile, Korea's Soomin Lee stormed into a three shot lead on a weather-interrupted second day of the Shenzhen International. Lee starting on the tenth had five birdies on the back nine of the course and two more on first and ninth on the second stretch. Tournament drawcard Bubba Watson only managed to play one hole before play was suspended but he made a birdie to move up 11 places into a share of 23rd on two-under. The two-time Masters champion will return early tomorrow to complete the remaining 17 holes of his second round. Chawrasia was happy with his round. "There were two interruptions, but I managed to keep focus and played on. The start was very sedate with five pars and then play was suspended due to weather. On resumption I bogeyed and then again managed three more birdies on the second nine," he said. "Sometimes the weather can give you a good result when you get back after a series of missed chances or sometimes you can lose momentum, but you have to concentrate and stay focused," he added. Chawrasia has three European Tour titles, the latest being last month at Hero Indian Open. All his three titles and a fourth on Asian Tour have come at home in India and he is looking for his first win outside India. Though happy with his position, he added, "The leader is nine shots ahead, but there are two more rounds. I would need a solid third round to make up some more ground and then see how it goes in the final round." Leader Lee, who already has a runner-up finish to his name this year at the Maybank Championship Malaysia, led the field alongside Alexander Levy heading into the second round. But then the 22-year-old Korean took full advantage of his early tee time. Despite two interruptions to his day, he opened up a sizeable gap at the summit by moving to 13 under par, courtesy of a flawless seven under 65. In close chase, however, is four-time European Tour winner Joost Luiten, after the Dutchman signed for a six-under 66, which included an eagle two at the 11th hole - his second - where he holed out with a sand wedge. After the opening round was cut short on day one, thunderstorms again played havoc with the second day's action at Genzon Golf Club as play was suspended twice and for a total of almost six hours, but there was time to eventually finish the first round prior to the second halt in play. Rising stars Paul Dunne of Ireland and Brandon Stone of South Africa were three shots further back on seven-under par after a three-under 69 and a two-under 70, respectively. Levy made a solid start late on as he aimed to shore up the gap with his first round co-leader, parring his first three holes before being called in, while Lee Slattery of England was making good ground thanks to four birdies in his first five holes to join his French counterpart on six under. "Today I was very excited about my round because I made a lot of putts, and his good, straight shots so everything was perfect. I have two more days now to try and stay bogey free. "I feel this course is good for me because there are soft greens and heavy rough. I like it when there is heavy rough so that's good for me."